In April, we biked from our house to the Capitol and back – 14 miles total :D! It was really nice weather and lots of flowers were out. In DC, we ate lunch and toured the Capitol building and Library of Congress with some of Teyanna’s friends from the Federal Reserve. It was Ben’s first time. 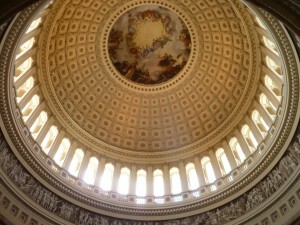 They are both beautiful buildings, although the Capitol tour seemed a bit short. Teyanna went to AZ May 4-12 and Ben joined May 9-12… for Teyanna’s sister’s wedding :D! 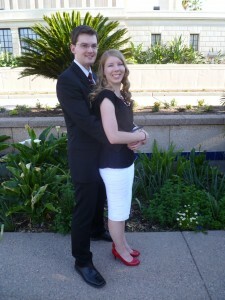 It was a busy trip but a beautiful wedding and reception! It was fun to see all the AZ family and Grandmom&Grandpop Schollian & Aunt Donna came from MD and Aunt Debbie & Uncle Kent (from the Stephens side) and Uncle Dave&Aunt Carolyn and their kids (Memmott side) came from Utah! 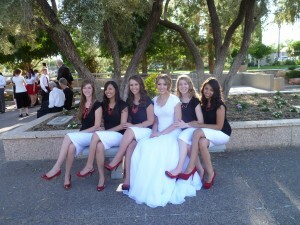 A few pics from my camera are here and some pictures from Chelsey’s photographer are here. This entry was posted in Adventures of Ben & Teyanna on May 13, 2013 by munyans.